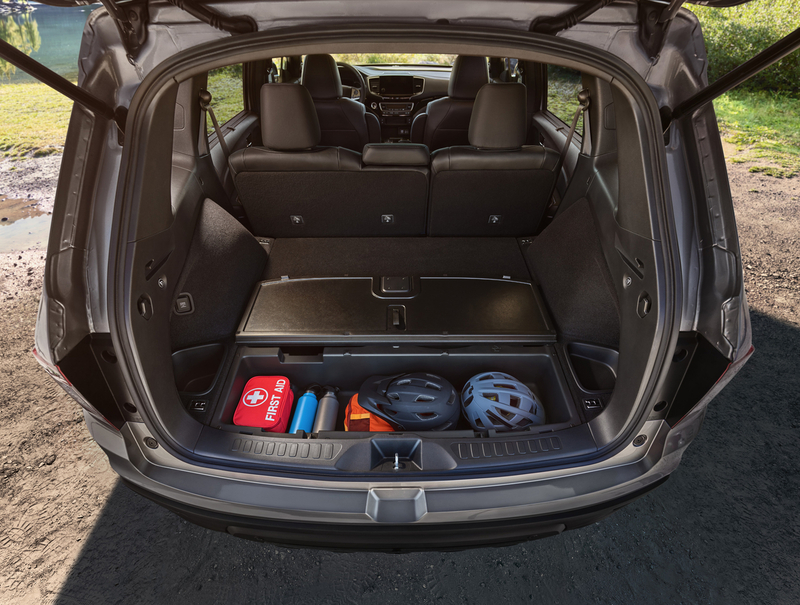 The Passport will slot between the CR-V and Pilot in Honda's SUV lineup. 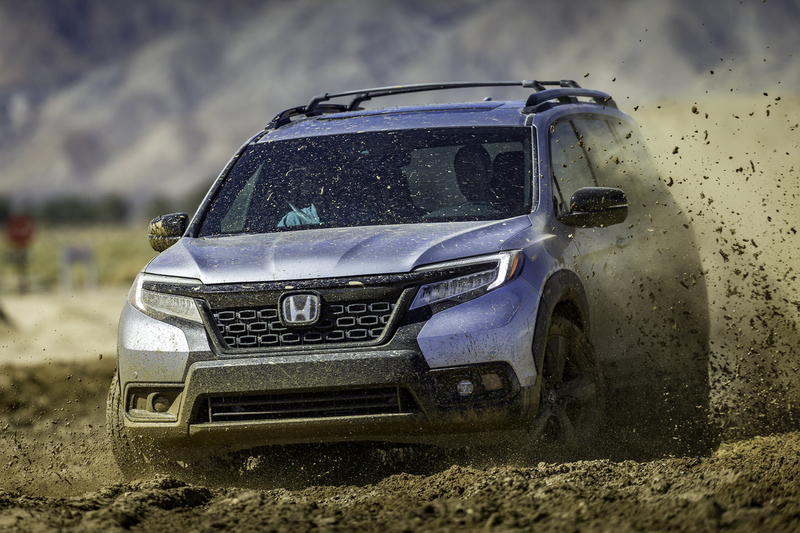 Topline: Based on the Pilot and resurrecting a legacy nameplate, the 2019 Passport is a five-passenger off-roader that slots in between the CR-V and Pilot in Honda's SUV lineup. 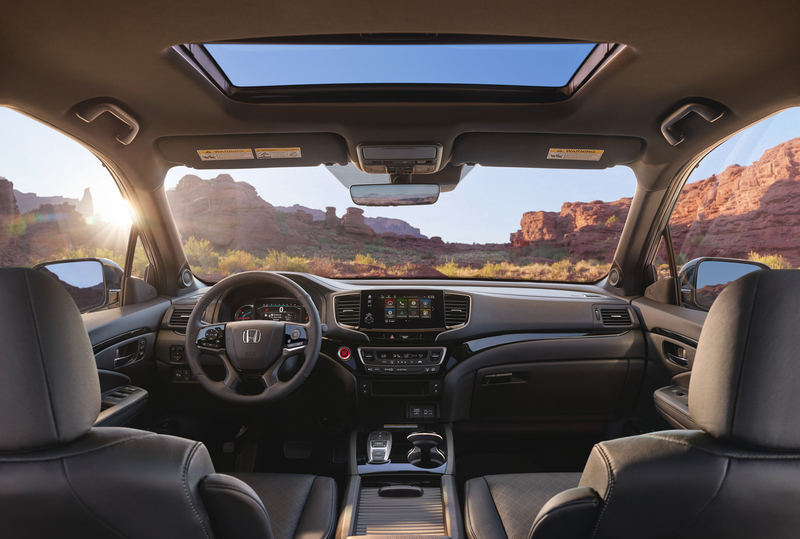 What's New: Making its debut at the 2018 Los Angeles Auto Show, Honda's newest midsize SUV is essentially a shortened, two-row Pilot. 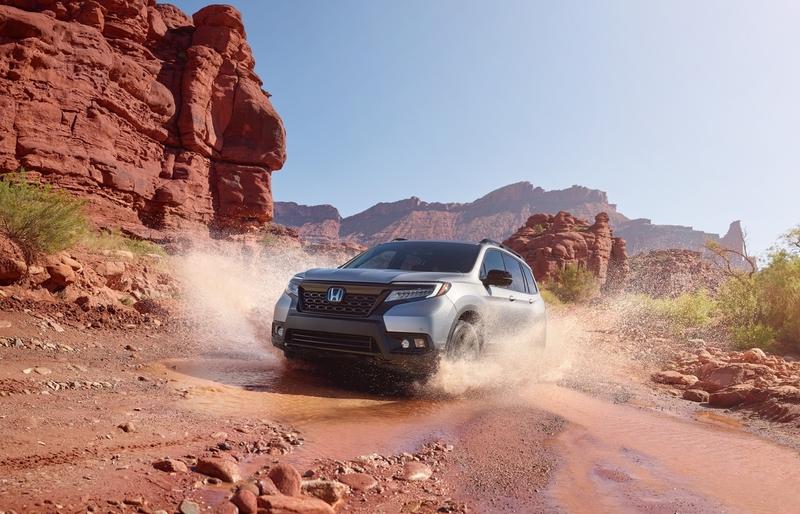 Being atop the same platform that underpins the Ridgeline pickup, the Passport is definitely made to be more rugged than the made-for-PTA CR-V. 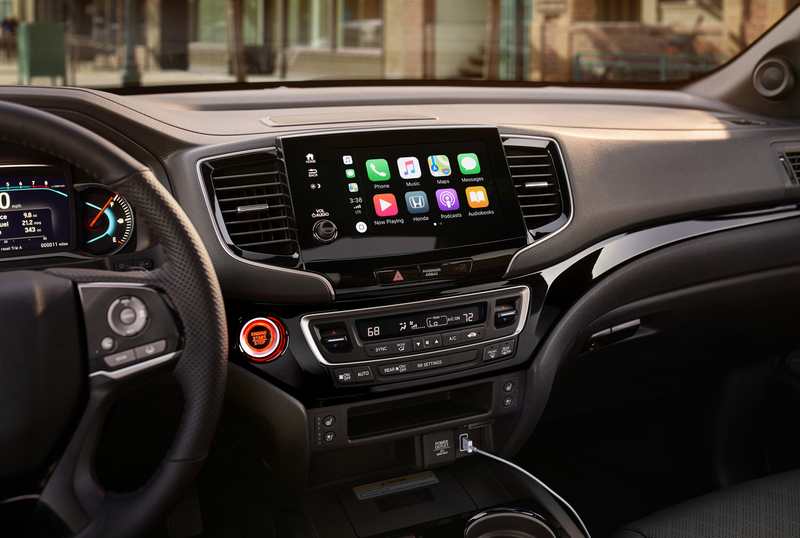 In fact, it might even be more of an outdoorsman than its big brother since it packs more ground clearance—0.5 inches for front-wheel-drive models and 1.1 inches on all-wheel-drive models, to be exact—as well as a shorter rear overhang and more scratch-resistant, black plastic cladding all around. 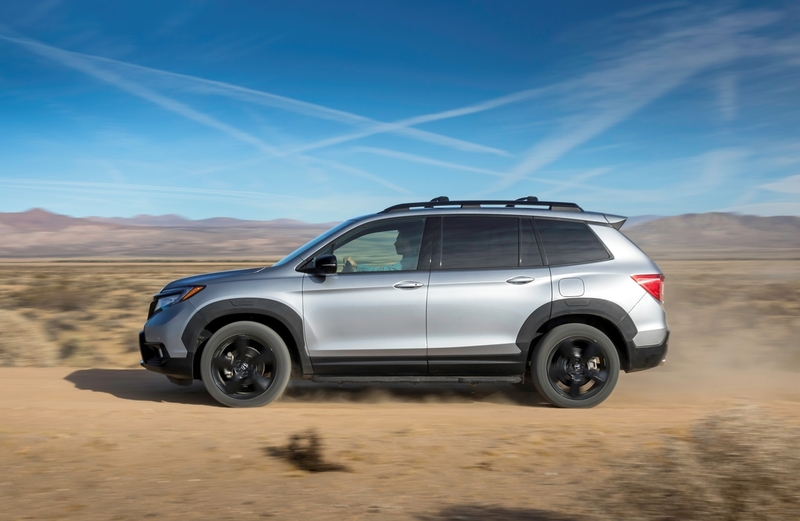 Under the hood, we find the same 3.5-liter V-6 seen in the Pilot making 280 horsepower and 262 pound-feet of torque mated to Honda's own nine-speed automatic transmission. Buyers can choose between front and all-wheel drive on all but the highest Elite trim where all-wheel drive is a given. When all four wheels are driven, the Passport's i-VTM4 torque vectoring system can send up to 70 percent of the power to the rear axle, 100 percent of which can then be given to either the left or right rear wheel. Speaking of wheels, all Passports regardless of trim receive 20-inchers as standard. All-wheel drive cars get multiple off-road drive modes including ones tailored for sand, snow, and mud. 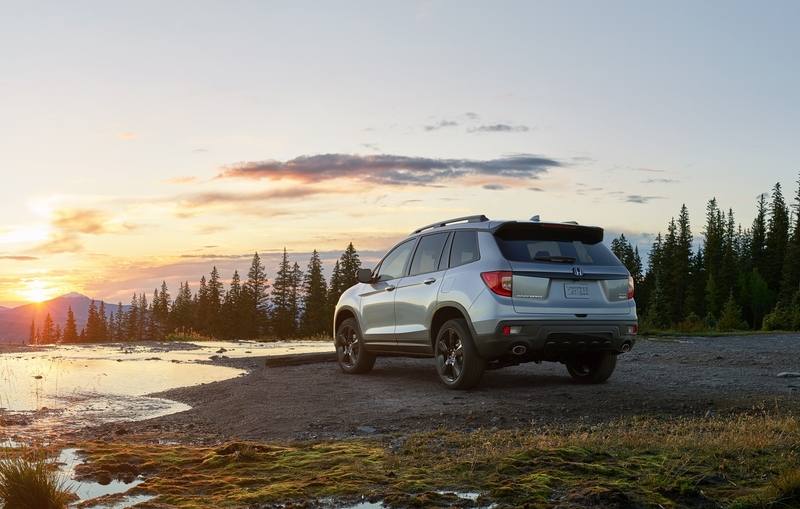 Equipped with the towing package, AWD Passports can tow up to 5,000 pounds while its FWD siblings can haul up to 3,500 pounds. 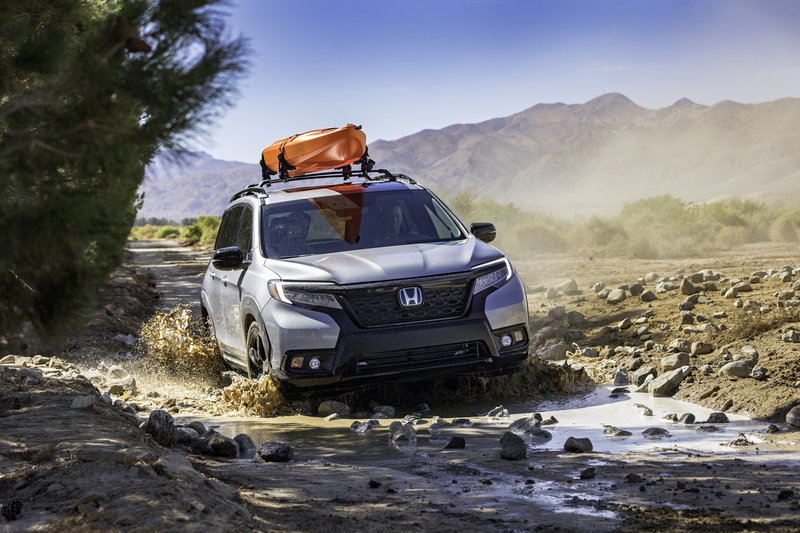 Quotable: "The all-new 2019 Honda Passport provides the on-road comfort and nimble handling buyers will appreciate on their daily commute with the robust off-road and all-weather capability that make for a great weekend adventure vehicle," said Honda general manager Henio Arcangeli Jr.
What You Need to Know: Depending on what neck of the woods you're in, parking a "foreign" SUV like the Honda Passport in your driveway might not be very good optics as far as your neighbors are concerned, given the current political-economic climate. Well, don't fret because the new Passport was fully developed at Honda's R&D offices in Torrance, California and Raymond, Ohio. The SUV, along with its V-6 engine, will be assembled in Lincoln, Alabama. Introduced in 1993, the original Passport was basically a rebadged Isuzu Rodeo, marking one of the very first collaborations between the Japanese automaker and General Motors. After the second generation ceased production in 2002, the Passport name disappeared from Honda's portfolio until now. 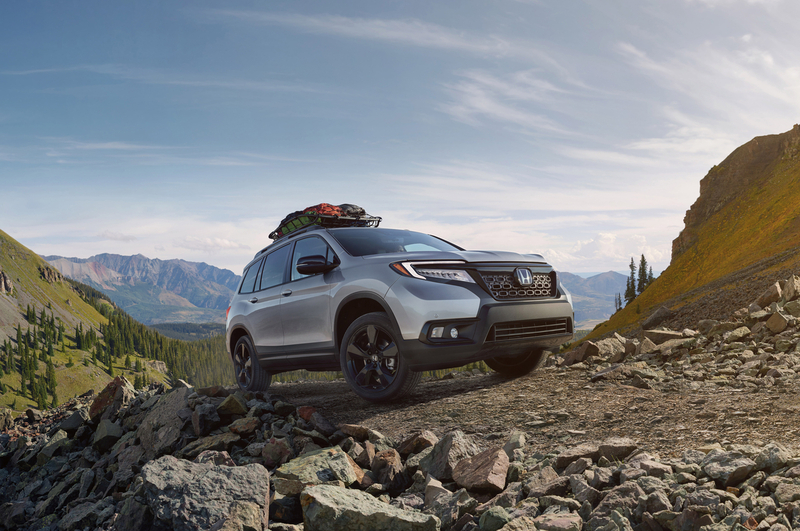 The 2019 Honda Passport will go on sale early next year. The Japanese automaker's largest SUV offering receives a mid-cycle refresh and new tech. A full unveil of the 2019 Honda Passport is scheduled for Nov. 27. The car has under 10,000 miles and, as the name alludes to, four-wheel-steering—a technological feat 27 years ago. Popular IndyCar racing driver Graham Rahal will add the S2000 to his already pristine car collection. Isuzu will have nothing to do with this one.